Don't sit for hours in a waiting room. See a GP online instead. We're open 7am - 8pm , 7 days a week. 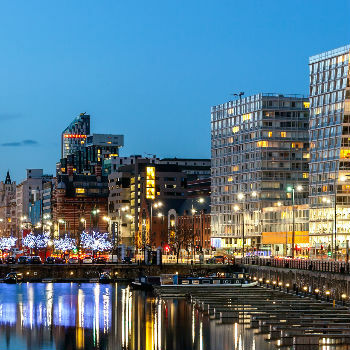 Looking for a doctor in Liverpool? You can see one online in minutes instead. 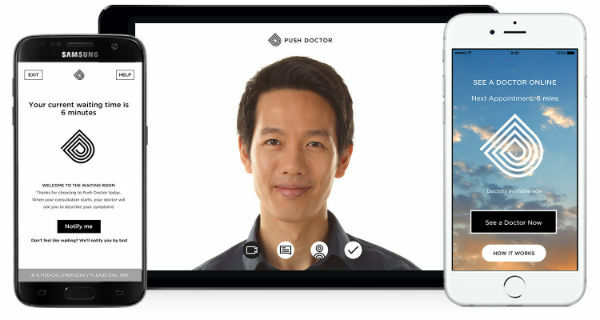 All you need is a smartphone, tablet or computer (with a webcam) and you can see a doctor in minutes. Open 7am - 8pm, 7 days a week, 365 days a year. Don't get a ferry across the Mersey and wait for hours at a Liverpool walk-in centre. With Push Doctor, you can see an experienced UK-based GP within a matter of minutes from the comfort of your own home. We're open from 7am - 8pm every day, even at Christmas and on Bank Holidays. In most cases, you don't need to be physically examined by a doctor - so why do you need to attend appointments in person? With Push Doctor, you can speak to an experienced GP at the push of a button - whether you're at home, work or on-the-go. Our GPs can treat a huge range of conditions, from common issues and ailments, to complex conditions and even mental health issues. 9 out of 10 customers get the help they need within a single ten-minute appointment. Still looking for a walk-in centre? If you'd still like to visit a walk-in centre in Liverpool, the City Centre NHS Walk-in Centre can be found on David Lewis Street, just a short walk from Liverpool Central train station. Hundreds of patients are treated each day and the walk-in centre provides a variety of services, from minor injuries and ailments to sexual health and care for children. However, it cannot provide fit-for-work notes or handle repeat prescriptions. Seen a doctor at the walk in centre? You might need to have your prescription dispensed from your local pharmacy in Liverpool. Just up the road from the City Centre NHS Walk-in Centre, you can find a handy chemist to get all your prescriptions dispensed.